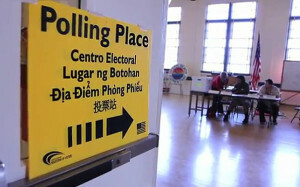 Poll workers, especially those who are bilingual in any one of eight languages, are needed for the June 3 election. Workers can earn as much as $190 for the day. 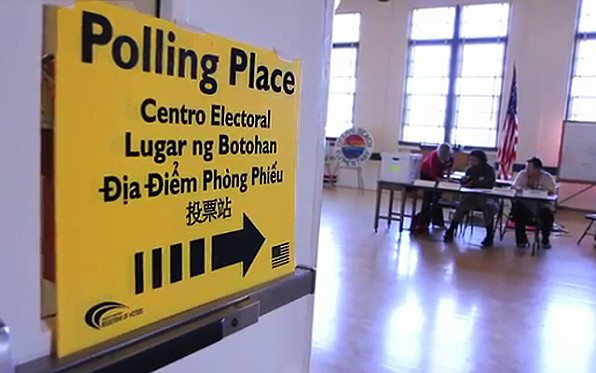 The San Diego County Registrar of Voterss Office is required by federal law to provide bilingual speakers and voting materials to voters who speak Spanish, Filipino, Vietnamese and Chinese. But a recent survey by UC Berkeley showed a need here for speakers of Khmer, Japanese, Korean and Hindi at about 20 precincts. So the registrar’s office is also recruiting poll workers bilingual in those languages for the June 3 election, a primary vote for governor. To become a poll worker, applicants must be a U.S citizen and registered to vote in California, or lawfully admitted for permanent residence in the United States. Poll workers must have transportation to their assigned polling location and will also need access to the Internet for online training and a two-hour class. Poll workers receive a stipend ranging from $75 to $175 depending on the assignment. Those who are bilingual receive an additional $15 if they are assigned to provide language assistance to voters. Prospective poll workers can apply online at SDVOTE.com. For more information, call (858) 565-5800Call: (858) 565-5800 or email Pollworker@sdcounty.ca.gov. Please note the Registrar of Voters office has moved. The new address is 5600 Overland Ave., San Diego.